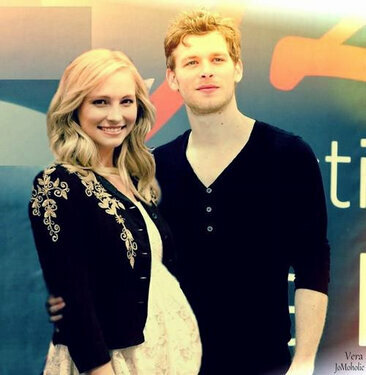 Jodice manip. . Wallpaper and background images in the Klaus & Caroline club tagged: the vampire diaries joseph morgan candice accola manip. This Klaus & Caroline fan art might contain leisure wear, outerwear, overclothes, well dressed person, suit, pants suit, and pantsuit.